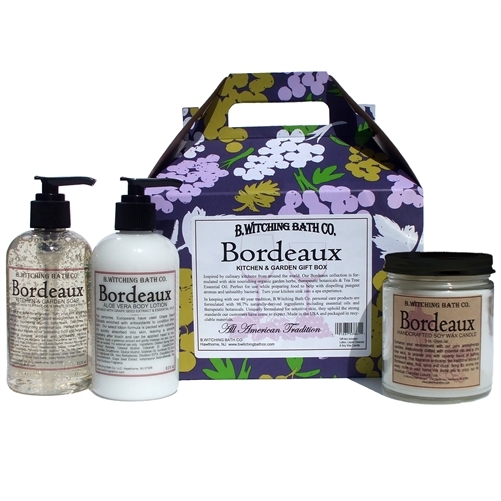 Delight the wine lover in your life with our signature Bordeaux Kitchen & Garden Collection. 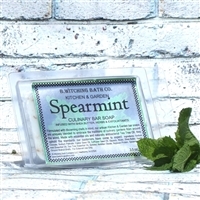 Prestigious aromatic blends of fruity blackberry, musk, earth and luscious cherry, just like wine country. This box set includes one 8 oz. 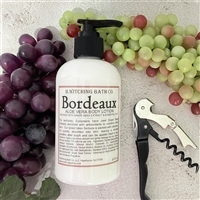 Bordeaux Lotion, one 8 oz. Bordeaux Liquid Cleanser and one 9 oz. hand crafted soy wax candle. All delivered in our signature B.Witching box.